Dana’s performance repertoire extends from early renaissance music to contemporary jazz. 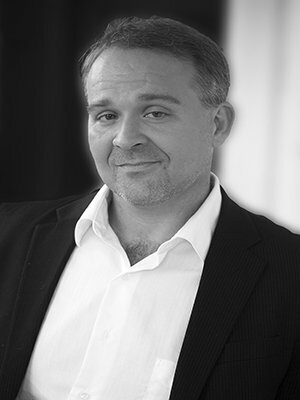 He has performed throughout the US and internationally in opera, operetta, oratorio, in recital, and as a chamber music soloist. Frequently visiting the concert stage, performing a wide range of the classical repertoire, Dana has appeared with many regional symphonies and orchestras throughout the United States, Europe, and New Zealand. He was an audition’s finalist and invited to sing with full time performing and touring ensembles Chanticleer(San Francisco), Cantus( Minneapolis/St. Paul), and with Voces 8(London, United Kingdom.) Other professional ensembles with whom he’s performed and recorded are The Santa Fe Desert Chorale, Carmel Bach Festival, Yale Choral Artists, Spire Chamber Ensemble, Cantatica, Seraphic Fire, and Voices of a New Renaissance. His solo artist engagements have taken him to 42 states and 10 countries having been a guest international soloist with the Auckland Chamber Orchestra and Chorale in Handel’s Messiah, Auckland, NZ. His most recent recording with Vox Amadeus is of the role of The Evangelist in Bach’s Johannes Passion, a role he recently sang the past Spring also with the New Orleans Symphony Chorus and The Louisiana Philharmonic Orchestra. Dana recently returned from an engagement in Chapel Hill, NC as the guest solo artist performing Haydn’s magnificent and more rare composition, Harmoniemesse in Bb major, in the elegantly blue Memorial Hall, part of the noble campus of The University of North Carolina. Dana is also the founder and artistic director of Crescent Chamber Artists, a professional vocal ensemble in New Orleans dedicated to the highest vocal artistry comprised of some of the finest performing vocalists throughout the Gulf South region. This past season, Dana sang The Swan in Orff’s Carmina Burana with The Louisiana Philharmonic Orchestra in New Orleans’ historic Orpheum Theater, and returned to Philadelphia’s Perelman Theater sing both Handel’s Messiah in December , and Mozart’s Requiem. Other recent engagements includes Beethoven’s Christ on the Mount of Olives and Missa Solemnis, and Mozart’s Grand Mass in C minor with Vox Amadeus, The New Jersey Master Chorale/Philly Orchestra and Friends, Philadelphia Pa. He holds a bachelor’s in music performance from Loyola University and a Master’s in Voice from the University of New Orleans. He is currently working towards a degree in clinical social work. In addition to his music work, Dana is a collegiate baseball umpire, enjoys hiking, and being active in the area of wildlife conservation.